International Faith Christian Fellowship Church (IFCFC), established in Brooklyn, New York 1994. One day while Bishop Evan Grant was on a train, he had a vision and was not sure what it meant, but he knew in his heart that God was calling him to establish a ministry in his community. He began keeping prayer meetings in his Brooklyn apartment where Deaconess Carrie Collier and Sister Patricia Farquharson were members. Over the months the membership grew, he went to his Jewish Land Lord and asked him for permission to keep services in the 2-bedroom apartment. The Landlord agreed that he could merge the two bedrooms into one to accommodate the new members. The Lord moved in mysterious ways that they outgrew the two (2) bedroom apartment and rented space at 52nd Street, Brooklyn. To date, this church is still active in the community and is a branch of this great ministry and I now located at 1129 Blake Avenue, Brooklyn, NY. 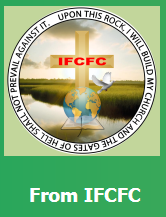 In 1999 Bishop relocated from New York with the intention to establish the second branch of IFCFC in Florida. He didn’t have much money and didn’t know much people. Bishop opened an Assisted Living Facility (ALF) as his source of income while he went around preaching the gospel at different churches. After a while, no one was inviting him to preach at their ministry, but the Lord had been speaking to him about opening a church, but he did not have the financial resources to do so. The Lord continued to speak to him, and he promised the Lord that if he filled his facility the first money made he would use it to get the church started. The Lord favored him by sending a Jewish lady with six (6) clients for the facility. Bishop was faithful to the promise he made to God and went to Sam Ash (music store) and bought the first instruments and other equipment for the church. Bishop then went to Martin Luther King Boulevard in Pompano Beach and rented space for church services. Services included his parents and a family friend with the help of Father Grant’s tape record player as the source of praise and worship. For the short while that they were there the church was broken into five times and the instruments stolen. Bishop then realized he needed to relocate for security purposes. He rented another space, this time in North Lauderdale in the Aunt Molly’s Plaza. Once again, the Lord favored him, and Bishop was offered a five (5) minutes slot on WAVS radio to advertise the church. Missionary Lindsay became one of his first members through the radio program and the first praise and worship leader, she is still a member to date. After a while, the city denied operation of a church in the plaza, so Bishop again had to find somewhere for God’s people to worship. The church moved to Prospect & 441 the space that was available was next to a Psychic reading store, and that did not deter him from carrying out the mandate of God. A bigger space became available in the same plaza. When Bishop told the members, only a few agreed, but since God gave Bishop the mandate, he took the space and the church grew tremendously. Soon after, Bishop realized that he needed to settle God’s people at a permanent location, so he was actively looking for a church. One Sunday night the Landlord disrupted the nightly service and announced that he was adding five hundred dollars ($500) to the monthly rent. The members became very concerned. Bishop then told him that it was too much, but he responded by saying that the church can vacate because it would profit him more to rent the store front as a night club or restaurant. Mind you, in that plaza, when it rains; it seems as if you need a boat to go through the parking lot to the church door. 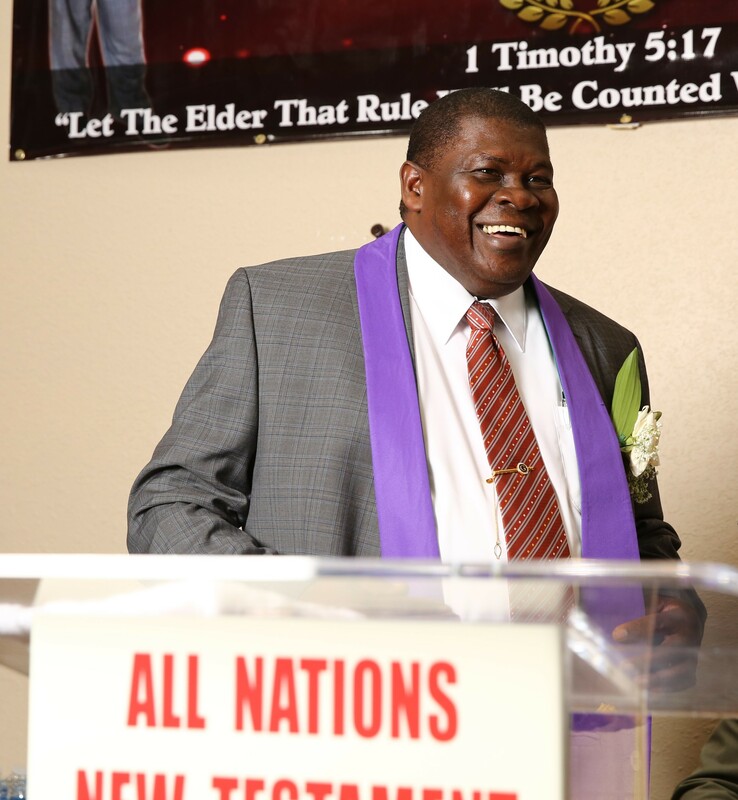 That Landlord statement pierced Bishop’s heart and he was now more determined than ever to find a place that International Faith Christian Fellowship Church could call home. wrote it for one thousand dollars ($1000) to put in his bid. A few weeks later the Jewish Board accepted his bid. Bishop didn’t even see the closing cost or the down payment on this building, but he had faith. Twenty-five other pastors made an offer on this building ready with their funds to pay, but when God is with you, he will make a way. One night the Lord spoke with Bishop in his sleep about selling his house in Coral Springs to use the money as the down payment for this church. Bishop woke from his sleep, walked back and forth throughout the night questioning God about the decision to be made. Without hesitation, the next morning Bishop went to Home Depot, bought a for sale sign and placed it at the front of the property. This was God’s divine will, so the next day God sent a couple to make an offer on the house. The house was sold and Bishop needed to make a twenty five percent down payment on the church within 30 days. God Granted favor and the bank agreed that they will take a ten percent down payment. Two weeks after the thirty days the closing cost would become due and all the funds were still not available. Almost right away the school increased in capacity, students came in abundance. Then, Bishop started to deposit all income into the church account. Even though his bid was accepted, there were challenges because there were only two parking spaces in the front. Inside the Sanctuary was divided for men and women, this was a practice of the Jewish Faith. Bishop was determined to tackle them one by one. The first thing he did was to approach the home owner that had a house directly behind the church and asked her to sell the house to the church so that space could be made available the for parking. The lady said, “anything for the Lord,” again God made a way. However, we ended up paying twenty thousand dollars ($20,000) more than it was worth because we needed it. 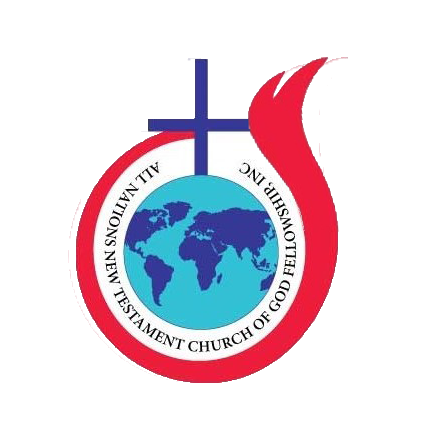 On June 3, 2004, International Faith Christian Fellowship Church found their permanent home, which once housed a Jewish Temple located at 4351 West Oakland Park Boulevard, Lauderdale Lakes, Florida 33313. A month later, International Faith Christian Fellowship Church was the proud owner of the house behind the church, located at 4350 NW 32nd Street Lauderdale Lakes. Through the transition of relocation to the permanent address, members who could support the church financially left, but God was still with the ministry. Bishop got everyone together, members and friends, and the renovation begun. The partition which once separated sections of the Jewish temple was broken down. There was the installation of; new carpet, tiles, audio visual room, choir and music platform, drapes, HD TV, and projector. Additionally, the sanctuary painted, rostrum redone, two offices added to the lobby area and garage room remodeled as the clerks’ office. In 2005 the roof of the church and the house was unable to withstand Hurricane Wilma storm force winds. After the hurricane, there was the installation of new roof, new lighting in the sanctuary, the fellowship hall and both the back and front parking lots also become well lit. Also, the bathrooms upgraded and our kitchen remodeled and upgraded. Overcoming these hurdles are only a sign that when you sow into IFCFC, God’s money will be used to enhance the growth and development of the ministry. The challenges were just getting started as there were only two parking spaces in the front parking lot. Bishop had to approach the City of Lauderdale Lakes to get approval for additional parking space. The city officials informed him that we would never get parking in the front, so we started to seek the additional parking in the back. It was a long and tedious meeting process with the zoning manager the commissioners and other city officials. Bishop Grant and IFCFC members knew that they serve a Great Big Wonderful God and continue the fight as they were not to be defeated. Bishop and the clerks attended meetings after meetings to get a permit for the parking, but despite the numerous trips to the building department they never gave up hope. With Bishop’s determination, the city approved 14 additional parking spaces at the front. As the church grew, this was not enough, so we approached the building department for additional parking in the back. At this point, we were dealing with new city officials who were not familiar with our ongoing situation, and it seems as if we were back at square one. It was a challenge dealing with tough city officials, but then God sent a new zoning manager to the city, who decided that we were now able to be approved for the additional parking space requested and also approve for a new drainage system. Our ministry grew enormously, and our visionary knew it was time to expand. In 2015, in the midst of the expansion, the house behind our church, previously owned by The Church of the Atonement, became available for sale. We purchased the house in 2016 and officially began our expansion. Again, many challenges faced us, but as always, we continued to press our way through. The first contractor we hired was very difficult to deal with. Bishop spent several weeks going back and forth with him to get the project off the ground. When he realized time was being lost he hired a new contractor, Allico Construction, that God brought to us to work as a team with Bishop Grant. The first phase of the construction process was to demolish the original house behind the church. The house, valued at one hundred and eighty-five thousand ($185,000), was to be no more, but these are the sacrifices made to honor the mandate of God, creating adequate parking space to accommodate what would soon become our 400-capacity sanctuary. We continued to face many challenges along the way, none that our Awesome God was not able to handle. There were several trips to the building department. It took us over a year to get the final plans approved. Once approved, it took us nine months to complete construction. During construction, we were not able to worship in our sanctuary; we had to relocate. God was so good to us that we did not have to go far because we have a good neighboring church. Father Henry and his Congregation at The Church of the Atonement opened their doors to us to worship in their Sanctuary for nine months. It was not easy because we still had our obligation to pay our existing mortgage and now rental for the nine months at our neighbor’s sanctuary. Although we had a General Contractor, Bishop played the role of contractor’s supervisor. Running back and forth to the City, several meetings with engineers and architects to ensure that we move back into our sanctuary as soon as possible. To God be the glory, we were able to reoccupy our sanctuary for Christmas Sunday, December 25, 2016. Our sanctuary size doubled from 3,000-6,000 square feet. We have added two (2) new bathrooms, conference room, clerks’ office, Bishop’s office, installed a state-of-the-art security system, fire alarm, and sprinkler system throughout the entire building, three new air conditioning unit, new audio-visual room with high-tech equipment. During the process, we extended renovation to our existing bathrooms, kitchen, pantry and lobby areas. All windows are new, each window donated by members of the church. Deacon Cole took the time to install all windows on the South side of the building at no cost to the ministry. 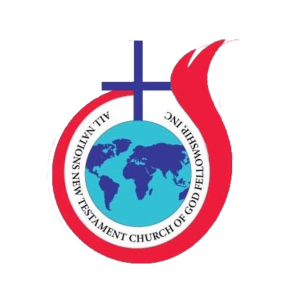 In March 2017 Bishop made a bold move to rename the church All Nation New Testament Church of God Fellowship (ANNTCOGF). To God be the glory great things he hath done. We are here this evening July 30, 2017, to dedicate the new beautiful Edifice that God has blessed us with. 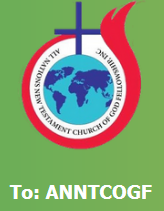 Bishop Evan Grant, the Associate Pastors, and the officer board at ANNTCOG would like to extend thanks to everyone for their support throughout this journey. First and foremost, to Almighty God, special thanks to all the members for their hard work, dedication, time, finances, prayers and words of encouragement. Also extending thanks to our City Officials at the City of Lauderdale Lakes, Allico Construction, Subcontractors, laborers, Channel 10 News Team, Father Henry and the member at the Church of the Atonement, and visiting friends of the community.